Ferreira Takes Silver in PyeongChang! This article was originally published by Austin Colbert in The Aspen Times. Photo: US Ski Team. Alex Ferreira didn't make the 2014 Olympic team and it haunted him for years. But Thursday in South Korea, the Aspen freeskier was able to banish those demons forever. "It just crushed him. And he knew what he needed to do to get here. It made him work so much harder," said Ferreira's mother, Colleen Delia. "I don't know that there are any words. I was sick to my Quick read more or view full article stomach. I've been a nervous wreck, but it's beautiful. I knew he was going to be on the podium. He's so ready for this." 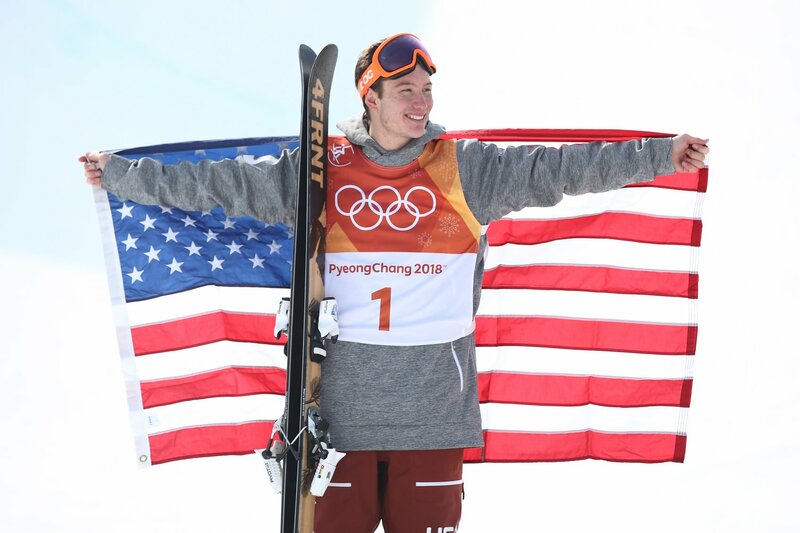 With his family watching, the 23-year-old Ferreira made the most of his first Winter Olympics by winning a silver medal in the men's halfpipe in Pyeongchang. Less than a year ago, rattled by injuries and failures, Ferreira came close to leaving competitive skiing behind. Thursday's silver medal brought everything full circle for the Aspen High School graduate. "I was prepared for this day, I think. I just worked extremely hard and I'm happy to be here," Ferreira said. "It's amazing. I'm back, baby." Ferreira's third-run score of 96.40 was bested by only the 97.20 scored by Nevada's David Wise, one of Ferreira's best friends and teammates. Wise also won gold in 2014, the first time halfpipe skiing was included in the Olympics. Wise and Ferreira also finished 1-2 last month at X Games. New Zealand's Nico Porteous surprisingly won bronze, while Crested Butte's Aaron Blunck, the 2017 X Games Aspen gold medalist, settled for seventh and Basalt's Torin Yater-Wallace finished ninth. Canada’s Mike Riddle, the 2014 Olympic silver medalist, was sixth, while 2014 Olympic bronze medalist Kevin Rolland of France was 11th. New Zealand’s Byron Wells was injured in training and pulled out of finals. "For me this is the most satisfying competition I've ever had," Wise said. "I feel so excited and just humbled by how Alex Ferreira skied today. Sharing the top two steps of the podium with Alex is amazing. The reality is the other guys had the opportunity." Entering the Pyeongchang Games, the U.S. foursome was favored to leave with a podium sweep. The possibilities seemed very real after Blunck, Ferreira and Yater-Wallace finished 1-2-3 in Tuesday's qualifying, where Wise qualified eighth after landing his second and final run. But after the first of three runs in Thursday's finals at Phoenix Snow Park, Ferreira was the only American truly holding up his end of the bargain. His first-run score of 92.60 led the competition early, holding off Canada's Noah Bowman anBlunck was sixth after his first run of 81.40, but Yater-Wallace only scored 65.20 on his first run after backseating his landing and Wise couldn't even complete his run. "I was going to be just as happy with myself even if I didn't get on the podium," Porteous said. "You just got to go for it. You are at the Olympics. Why not just take advantage of it and harness that adrenaline and really go for it?" "I was a nervous wreck, but I was so sure he had it and would nail it down. He was confident," said Marcelo Ferreira, Alex's father. "He worked very hard for three and a half years and the results, they are here. It's a dream come true." Wise, who also crashed on his second run, overtook Ferreira on his third and final run. Ferreira had one more chance to reclaim the podium's top spot and left it all out there with his best run of the night, but still came up just a hair short of Wise. "I am not disappointed the U.S. didn't sweep. I would have loved it. There was certainly a lot of hype about the U.S. sweep," Wise said. "It made me realize that freeskiing won today whether I landed my run or not. So that kind of gave me a little bit of a boost." Yater-Wallace crashed on both his second and third runs. Making finals in South Korea was a step up from Sochi when he failed to make it out of qualifying. He entered the 2014 Games battling a collapsed lung and broken ribs. Yater-Wallace did not talk to reporters immediately following Thursday's finals. "I would not be where I am today without Torin Yater-Wallace. He is one of my best friends. I respect him bar none over anybody. He is a fantastic skier and beyond that a fantastic person," Ferreira said. "I worked really hard to be here and I'm just extremely happy to be part of the event."? Ferreira said he usually doesn’t watch his competitor’s runs, so couldn’t really compare his runs to that of Wise or Porteous. Nor did he need the fuel. He spent the night prior watching the U.S. women’s cross-country ski team win its first Olympic medal — ever — and had more than enough motivation at the bottom of the halfpipe with his family in attendance. On Saturday evening, we held our annual Hall of Fame celebration, where we welcomed four inductees into the Hall of Fame. If you missed it, check out the pictures here! Thank you to all who came out and helped us honor our newest Hall of Fame members! This year, Alpine Bank celebrates its 45th anniversary. 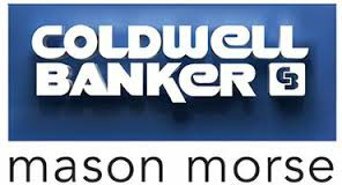 The first bank was started right here in the Roaring Fork Valley in 1973 by J. Quick read more or view full article Robert Young. That branch started a growth trajectory of 38 branches in 28 Colorado communities, to create what is now known as Alpine Bank. Community investment and volunteerism are at the heart of Alpine Bank. Five fundamental values, identified 45 years ago, remain the organization’s guideposts to this day: Independence, Community, Compassion, Integrity and Loyalty. In short, they treat all customers and communities the way that they like to be treated themselves. Aspen Valley Ski & Snowboard Club is grateful to have been a beneficiary of Alpine Bank’s generosity for over a decade. Alpine Bank has helped AVSC put on countless community events, race series, and more since 2006. We look forward to continuing our partnership and finding new ways to bring the community together for years to come. 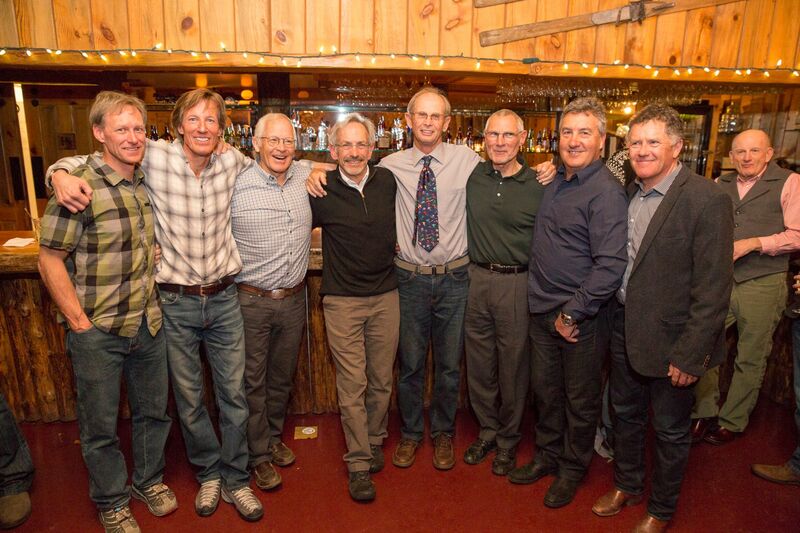 Ace has been a key supporter of Aspen Valley Ski & Snowboard Club for well over a decade. His relationship with AVSC started when he was a young ski racer himself; he has since served as a Board Member, a parent, and a passionate community member. Ace is a huge advocate for the accessibility of world class training right here in Aspen, and as such was influential in shaping the vision for the Stapleton Training Center, which has become a phenomenal resource to not only our athletes, but high-level teams around the globe. In 2017, both the men’s (Marcel Hirscher) and women’s (Mikaela Shiffrin) Alpine World Cup Overall winners enjoyed training on AVSC’s Venue! Beyond the venue, Ace has been a dedicated supporter of our Adaptive Team, at least a handful of whom will attend the PyeongChang Paralympic games this winter. He has housed coaches on his property and sponsored athletes in their quest to compete at the highest levels of their sport. He has provided unique fundraising opportunities and continues to think outside the box on AVSC’s behalf. We are grateful for Ace’s sense of humor, honesty, entrepreneurial spirit, and caring nature, all of which have left an indelible mark on AVSC! Aspen Valley Ski & Snowboard Club has benefited greatly from the contributions of John and Cynthia Callahan’s family, as has the whole Aspen community. The Callahan’s moved to Aspen from Los Angeles in the 1970s. John was the first fluent Spanish-speaking ski instructor, cut trails such as Racer’s Edge, – a trail much beloved by our young alpine racers in particular helped build the first Braun huts, and served as a dedicated member of Aspen Valley Ski & Snowboard Club’s Board of Trustees. We are also beyond grateful for the contributions of John & Cynthia’s children; from John’s work as the Nordic Director following his Olympic years (and as a parent to AVSC athletes Kevin & Keegan) to Pat’s tireless work with our Alpine Team and the World Cup, Nancy’s tenure as a nordic skier in the program and finally Anne Marie’s dedication as a current parent of two third-generation AVSC Callahan’s: Kenny & Molly. Our ski community is stronger and better thanks to the Callahan family’s time and care. We are thrilled to welcome them into our Hall of Fame as a Legacy Family. Sim Thomas’ relationship with AVSC spans decades, starting in the 1950s when Sim was an AVSC athlete. He later returned with his wife, Britt, to direct the Alpine Program in the 1970s. He was determined to provide AVSC athletes a better experience than what he had experienced years prior, and left no stone unturned on his path to improvement. Many of the things Sim Thomas prioritized during his time at Aspen Valley Ski & Snowboard Club are still central to the club’s success today. He cultivated a community of respect (not only for one’s self and one’s teammates, but for the clubhouse and training grounds), innovation (honoring our roots while remaining on the cutting-edge of our sports), inclusion (incorporating a wide range of ages, ability levels, and disciplines), and collaboration (working with critical partners like Aspen Skiing Company to ensure we are providing every opportunity that we can to young athletes). When it comes to skiing, Sim is a perpetual student of the sport, having travelled the world to learn the latest in technique and tactics. Aspen Valley Ski & Snowboard Club is grateful for Sim’s contributions to AVSC’s vision, outlook, and programs. This story was originally published by Austin Colbert in the Aspen Times. At 16, Elle Murphy is one of the youngest competitors at the FIS Alpine Junior World Ski Championships in Davos, Switzerland. The Glenwood Springs native wasn't expected to compete for any podiums at this elite event, but simply being there is a big step for the Aspen Valley Ski and Snowboard Club athlete. "For her, it's one of those eye-widening experiences," said Austin Nevins, the lead women's FIS coach for AVSC. "It's a great opportunity to Quick read more or view full article look and see the top level of ski racing in the world. Some of the girls that are racing at World Juniors are people who have podiumed at World Cup ski races. They are no slouches over there. You are racing some of the best in the world." A Salt Lake City native, Wright is in her second season as part of AVSC's post-graduate program. Her success this season on the Nor-Am Cup has her knocking on the door of the U.S. Ski Team. "When I got the call, I remember feeling overwhelmed," Wright wrote in an email from Davos about getting invited to Junior Worlds. "The experience in Switzerland so far has been a huge eye-opener, and it's been such a fun and happy environment. I couldn't be happier to be in such a beautiful place, competing against the best juniors in the world." As of Sunday evening, Wright had only competed in one race at Junior Worlds, where she failed to finish the women's super-G. An Alpine combined event was scheduled for Monday with the women's downhill scheduled for Thursday. Wright, a four-event skier, is expected to compete in both. This winter, back in top form, Wright has excelled. She's currently ninth overall in the Nor-Am standings and is fifth in both super-G and Alpine combined. 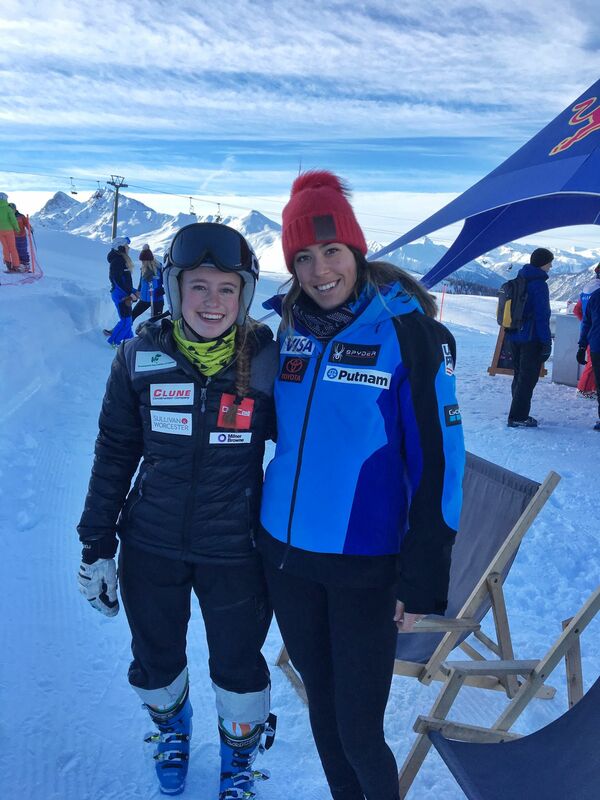 Prior to Junior Worlds, Nevins spent time with Wright in Europe where she was invited to compete in only her second Europa Cup race — she was 48th in a super-G in Zauchensee, Austria — and was able to train with the U.S. Ski Team. "It's been a super rad experience," Nevins said. "She's a hard worker. She's a great teammate. She's always trying to be supportive. She pushes all the other girls and pushes herself and works hard and has earned her spot over there. It's cool. It's not that often that non U.S. Ski Team members make World Juniors. To do that is impressive. It's a big feat, for sure." Murphy grew up skiing at Sunlight Mountain Resort near Glenwood, and has long been a fan of McKennis, the New Castle ski racer and AVSC product who is headed to her second Olympics. Murphy has similar dreams of competing on the biggest stages, although she'll proudly be representing her Irish heritage when she does. "It may be easier than in the U.S., but I still need to work for the points," Murphy said of skiing for Ireland. "It's a pretty large step. I have final goals like every athlete, and the Olympics would be one of them if I could reach that and go to other events like Junior Worlds, maybe the Junior Olympics next year. Just focus on the big goal itself under the Irish flag." Murphy's best finish so far at Junior Worlds has been 27th in the super-G. She was 34th in the women's slalom and 61st in the giant slalom. Prior to going to Davos, Murphy finished 12th in a Jan. 20 FIS super-G at Aspen Highlands. The remainder of Murphy's competition season likely will be full of more FIS races. Wright is set to return to the Nor-Am Cup, which next hosts technical races Feb. 13-16 at New York's Whiteface Mountain. She remains in a good position to compete in the U.S. national championships later this winter. "It has been a long trip, but a very productive and fun trip," Wright wrote about her past month in Europe. "I can't thank the U.S. Ski Team enough for inviting me, and for giving me the opportunity to pursue my dreams."